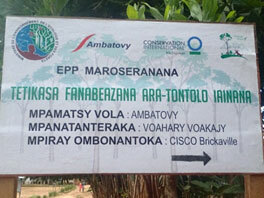 The aim of Ambatovy’s biodiversity offset is to conserve the biodiversity of the eastern rainforests (habitat for this indri, the largest lemur in Madagascar), while allowing mining. The mine aims to offset the impact of its operations by conserving forest which is currently threatened by agricultural expansion. Livelihoods in the region are heavily dependent on shifting agriculture, the mine carries out both enforcement activities and local development to try and reduce forest clearance for agriculture. When a large industrial development, such as a mine, is going to have an unavoidable impact on biodiversity, the company may invest in protecting (or even creating) habitat elsewhere to compensate. 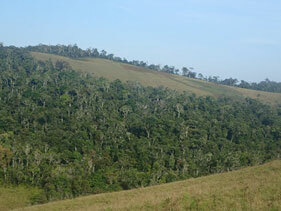 This is known as biodiversity offsetting and is a concept which is gaining increasing support. For example in 2010, the parties to the Convention on Biological Diversity (CBD) agreed to promote biodiversity offsets as a tool for businesses to engage with biodiversity issues and the IUCN approved a biodiversity offset policy at its World Congress in 2016. Those who support biodiversity offsets argue that they allow economically important industry to go ahead in biodiversity hotspots (often bringing much needed development) while having ‘no net loss’ or even resulting in a ‘net positive increase’ in biodiversity. 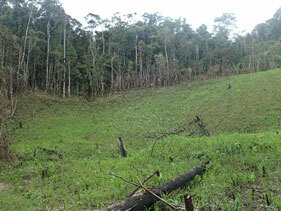 However there is controversy as some see biodiversity offsets as a way to legitimize environmental destruction. Work published this week in the journal Conservation and Society looks at previously ignored aspect of biodiversity offsetting: the impacts on local people. 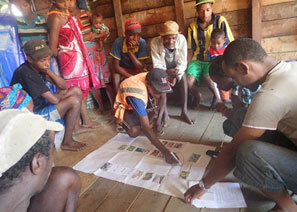 The researchers use the case study of the Ambatovy mine in Madagascar (the biggest nickel mine in the world, the largest ever investment in Madagascar and a company leading the way in developing biodiversity offsets). The research demonstrates that the offset projects (through introducing and enforcing conservation restrictions) can have very significant negative impacts on local people both in terms of standard measures of poverty but also more subjective aspects of their wellbeing. Development projects introduced by the mine to offset the costs of the conservation restrictions locally have been well received but do not compensate for the local costs and do not reach those most affected by the conservation restrictions. This research was funded by the Ecosystem Services for Poverty Alleviation programme (NERC/ESRC/DFID) as part of the p4ges project (Can paying for global ecosystem services reduce poverty). 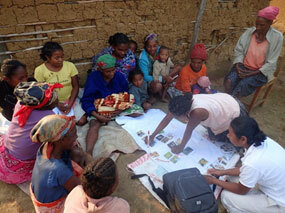 The work was done fully independently of Ambatovy with no funding, logistical support or involvement. 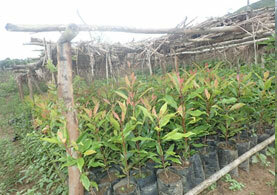 Development projects inlcude developing tree nursaries to provide fruit and timber tree seedlings. 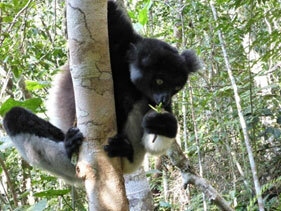 However though appreciated, the benefits from these are too slow to compensate for the immediate costs of conservation. 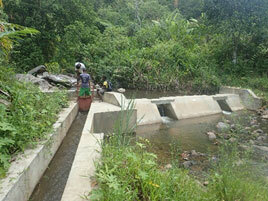 The Ambatovy biodiversity offset project has funded irrigation dams such as this one in Maroseranana commune to encourage irrigated rice production. 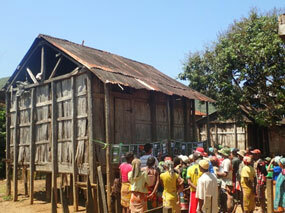 The offset project has also funded improvements to local education and health facilities. 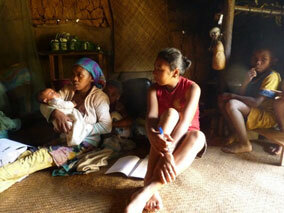 Focus groups were used to understand the positive and negative impacts of the biodiversity offsets on life locally. The discussions were indepth and wide ranging and revealed complex impacts of the offset projects on different components of well-being. Household surveys showed that those who benefited from the development projects were not those who bore the biggest cost of conservation restrictions. After completing our preliminary analysis we returned to all our study villages to share our results and get feedback on our conclusions.